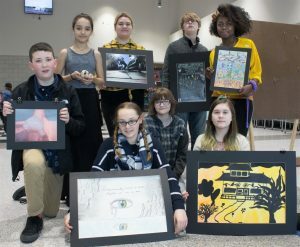 Congratulations to CAA middle school students who attended the Art Educators of Iowa, Emerging Excellence Event. This event celebrates and recognizes students’ high achievement in art. During the event, students were interviewed by a trained juror about a piece of their artwork and attend art workshops.